Two days after Hindang excursion I got to visit Brgy. 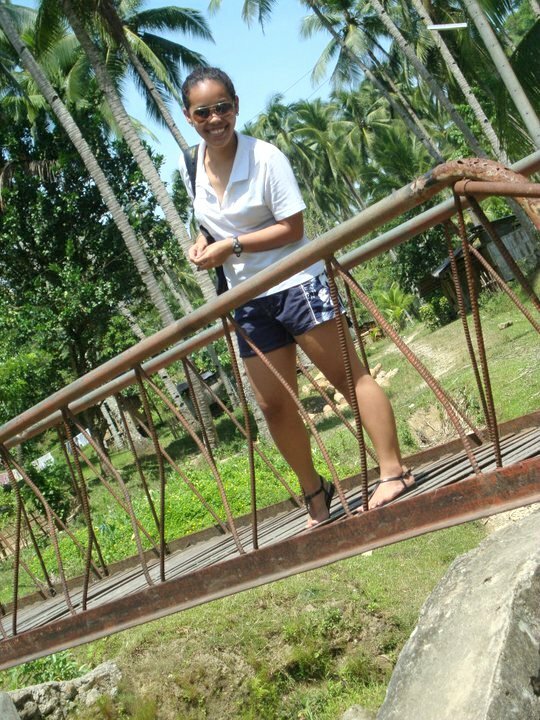 Bonbonon, Iligan City. The Brgy. 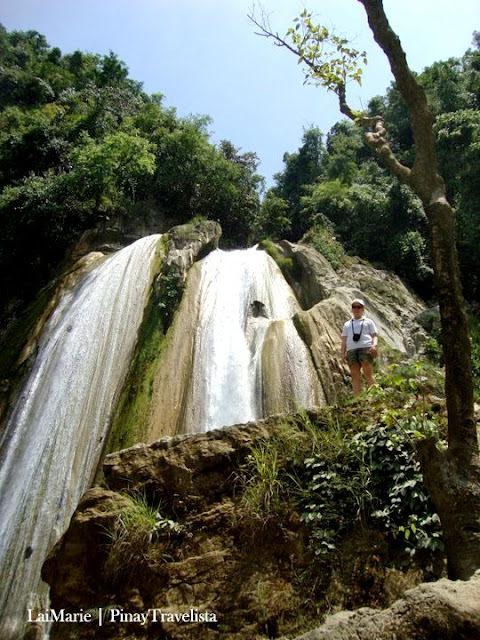 Bonbonon is the host barangay of Dodiongan Falls, which is 14.5 km from the city proper — distance and leg cramps from Hindang Cave trail didn’t stop me. The visit was unplanned and had adventure written on it at every angle. LotLot invited me to join her visit the falls as they make a delivery to Brgy. Bonbonon. 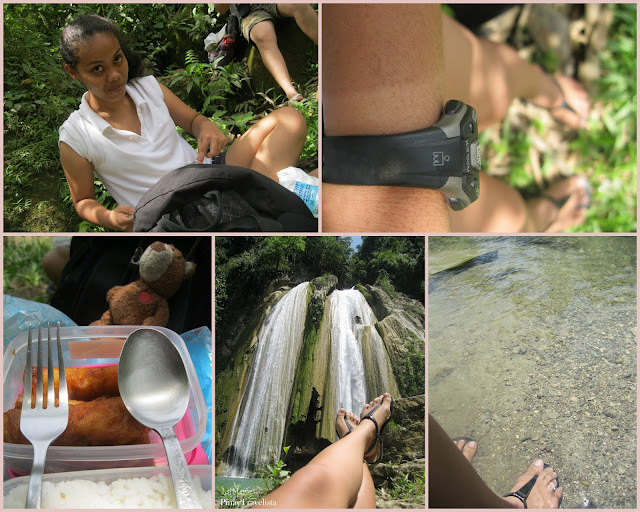 It was a far-from-city-proper barangay and somehow she made their client (Kagawad of the barangay) to have her daughter take us to the trail to the falls. LOL! Who was I to decline — anak ng kagawad na ung mag.to-tour s’min. Since it was a weekday, I only contacted those who were available, and Xy-za of PurpleSlipperz was the one who could only make it. 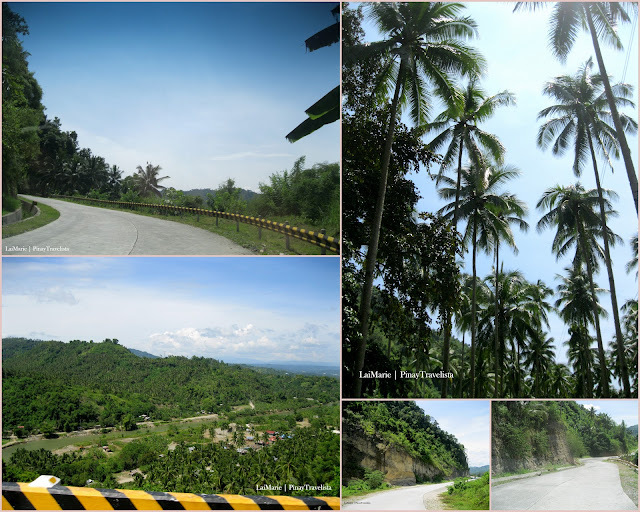 The road going to Dodiongan Falls is both developed and undeveloped, it being the Bukidnon-Iligan Road that is currently under construction. Expected you will have smooth sailing trip on the road and then some rugged rough road ahead. The road would then split to a smaller rough road just before Brgy. 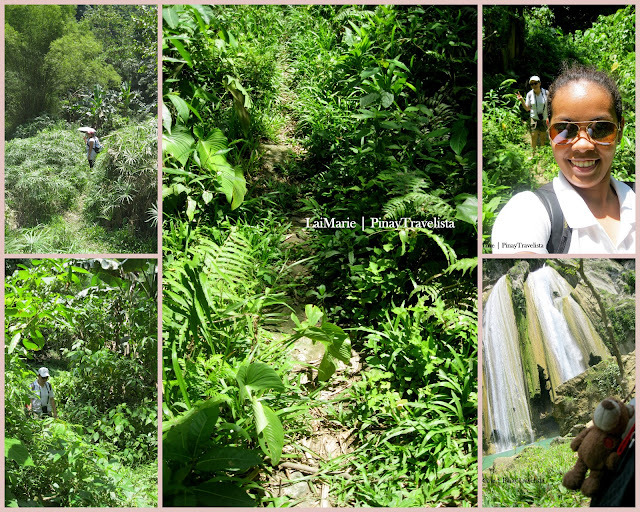 Digkilaan, and from there we knew that waterfalling was just few kilometers away. The trail starts with a metal foot bridge. The delivery truck had us “delivered” to the start of the trail, LOL!, and from that point on, it will be an a trek under the scorching heat of the sun. So it is best to wear appropriate clothing, sunblock, and bring enough water to keep you hydrated. What I love about the Dodiongan Falls trail is that it was so easy to take, which was good for me, given I had leg cramps and was in total discomfort. The walking trail was so easy to navigate that I could go back there without any tour guide to get me by. 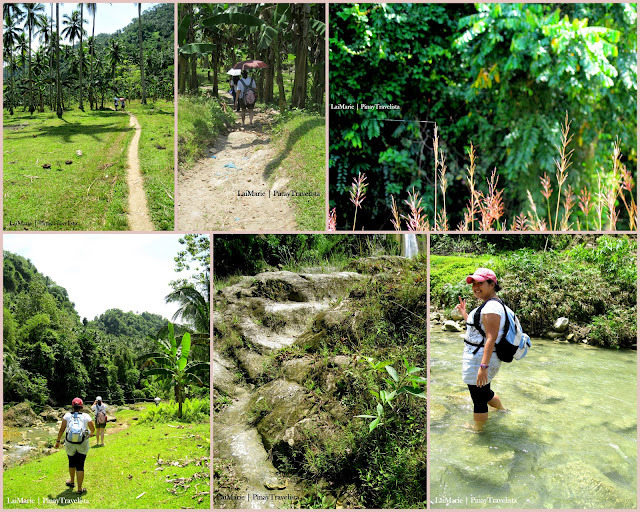 This is because this trail is used by people in some remote settlements around the area. You would see a nipa hut here, a woman washing clothes there, and evidences that people live around the trail. We get to cross the stream and had our feet wet. Our guide, Jam, traverse through rocks on the stream and had not one of her toes wet. 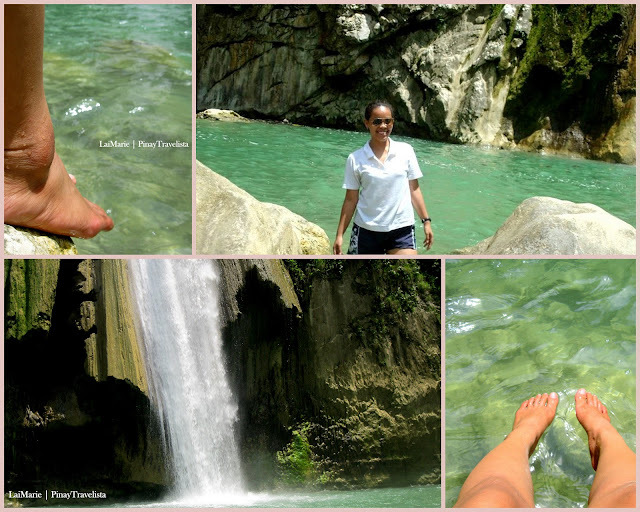 I don’t trust my feet for those maneuvers, so LotLot, Xy-za and I made our way to the other bank with wet feet. The trail will then follow the water upstream, and an assurance that you won’t get lost along the way. We kept on asking how far we were from the Falls and as soon as we heard crashing waters, we knew it was minutes away to get us there. This is the first peak you’ll get of the falls. 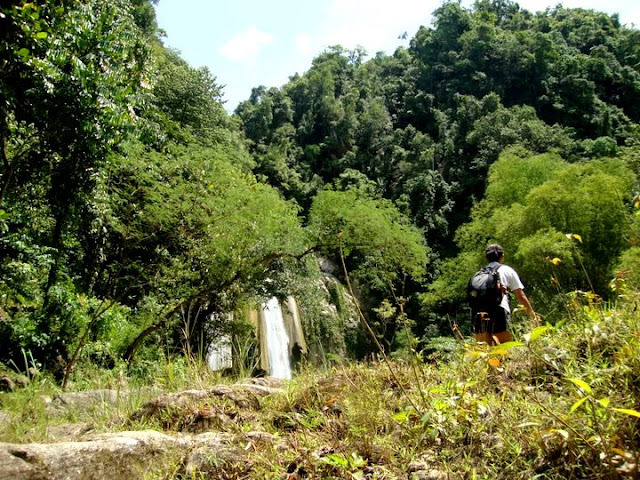 The trail leads you to elevated footholds and land areas and you will also realize that you’ve ventured into a corner of the mountain with it’s sides covered in rich foliage. We excitedly made our way through these bushes. Which BTW, is the reason that you may need to use insect repellent with insects flying and crawling around. It was near noon when we got to there — but we didn’t mind. Dodiongan Falls is handsome in it’s 65 ft water drop. Massive. Daunting. Beautiful in a strong way. And we made it here! The Falls has a huge, irregularly shaped boulder for the water to flow on, and just in the middle is a protruding rock that separates the flow of the water drop into two. 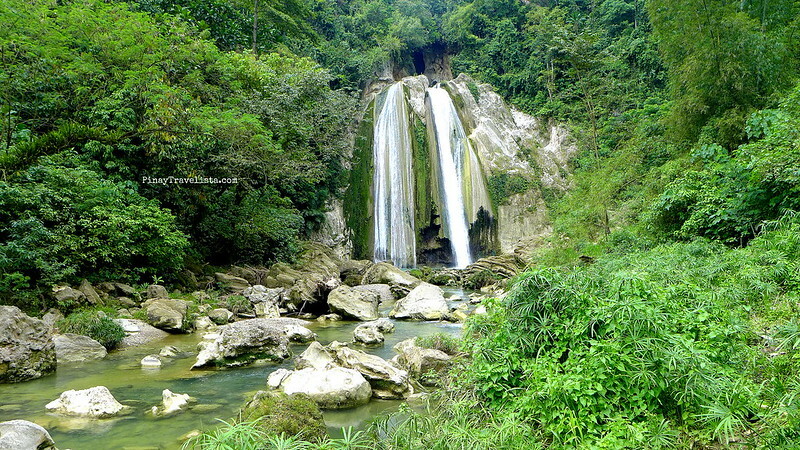 It has the same characteristic as the Hindang Falls of Brgy. Hindang, as both are slide falls, gliding through a large slab of rock and in continuous contact with it. 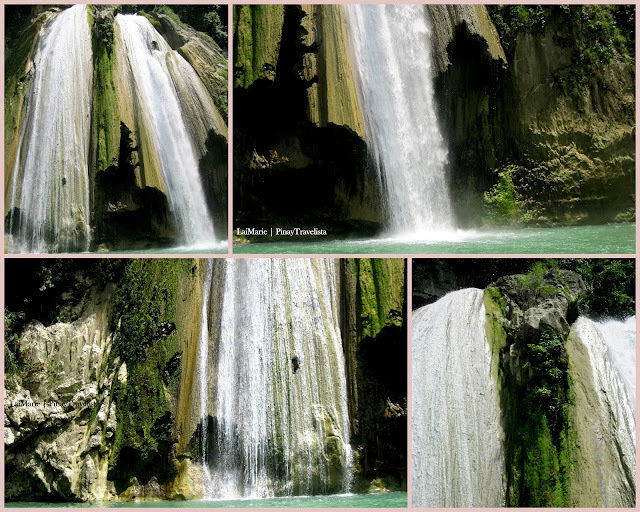 The diffence is Hindang Falls is quiet calm and serene while the Dodiongan Falls is massive and heavy on the water. It has a large plunge pool ideal for swimming. The water is clear and cold as it makes it’s way downstream through large boulders framing the plunge pool. This one in particular is used as diving/jumping spot for locals to the plunge pool. LotLot braved up and climbed up that rock and was a perfect shot to take. Believe me that I am in no other way programmed to do climbing stuff! But still.. 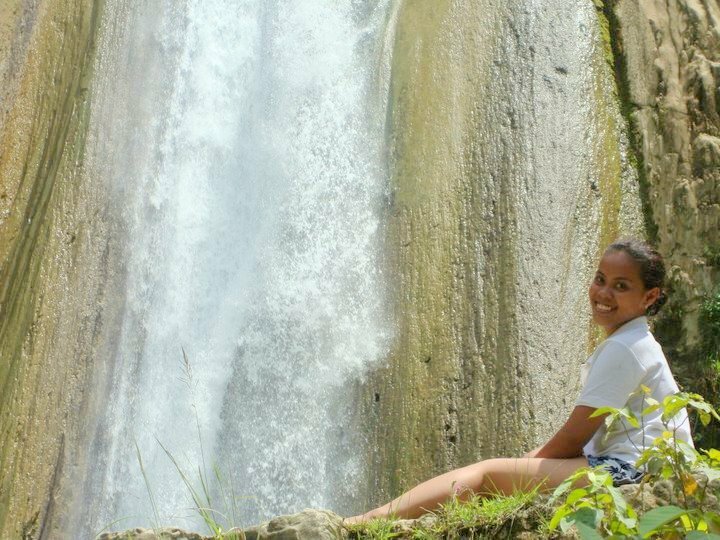 I was not able to swim that day and I was confident not to because I’ll be visiting Dodiongan Falls some time soon — for a tree planting event. My next visit to it would be a dip in the pool waters and a swim towards it’s rock shelters — if it is safe to, that is. I was happy having I to see it and enjoy my lunch there. 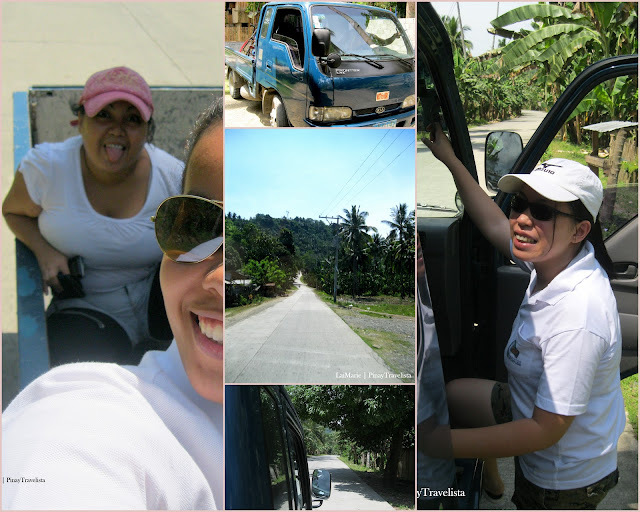 + Bring with you your own provisions, there’s no store in sight once you start on the road to Brgy. Bonbonon. Map: HERE, Fare: 7.50 Php, Time Travel: ~10mins. *** Note: It may take you awhile to get Habal-habal. *** Note: It might be VERY costly! 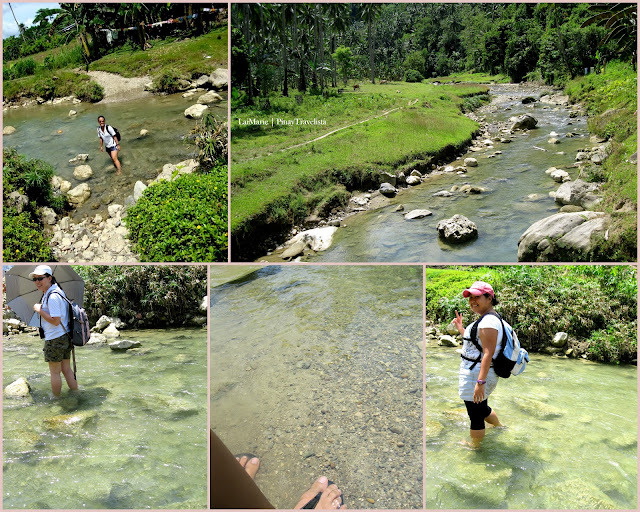 — Take the upstream trail, you get to cross the stream at twice. Just follow the trail or stream and you won’t get lost.